When Chloe from Fox & Owl asked if I would design some wedding stationery for a photo shoot, I knew it would be good. I met Chloe at the Most Curious Wedding Fair and we have have had almost neighbouring stands for the past two years. Her ethereal style and eye for beautiful moments means that her images are always pure magic. I wanted to create a stationery set with lots of texture - hand made papers and sheer paper overlays. I took influence from from the flowers of Fox & Thorn to create an illustrative, botanical and whimsical design of leaves and subtle flowers. 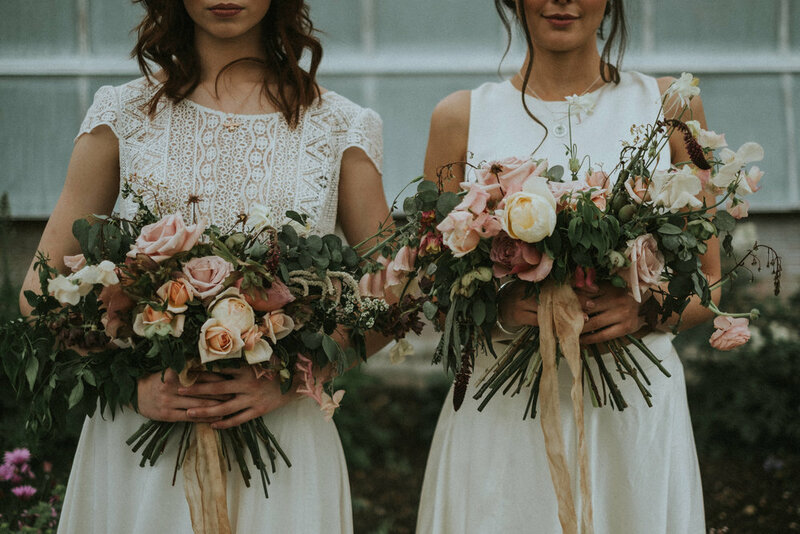 Redamancy and The Wedding Enthusiast brought the shoot to life with their styling, full of texture - wool knits, dried flowers and eclectic colours. 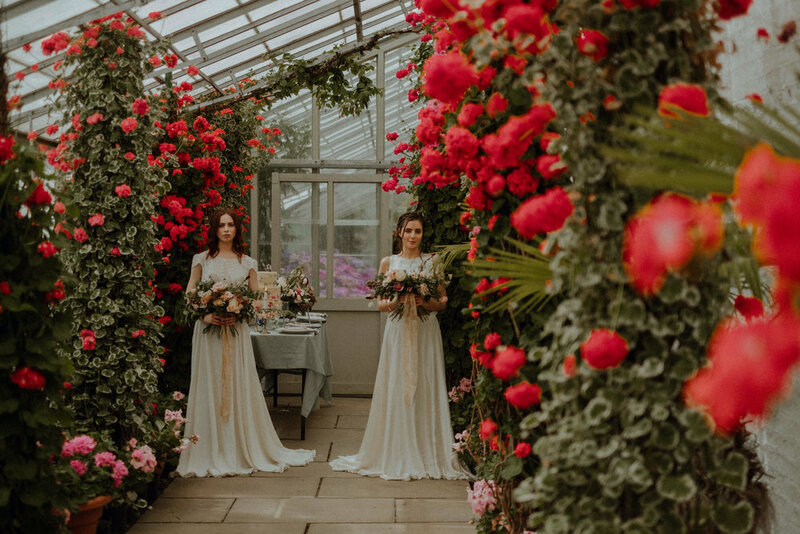 The beautiful location, Temple Newsam House & Gardens, provided the perfect backdrop for the shoot with rustic glass houses, plush with flowers. I was delighted to see this shoot featured on Rock my Wedding with their post named Whimsy & Daydreams In The Walled Garden. A day of the dead 40th Birthday Cake! Video Tutorial and Interview blog post on the Bake Club! Come see Mimolo at A Most Curious Wedding Fair in London! 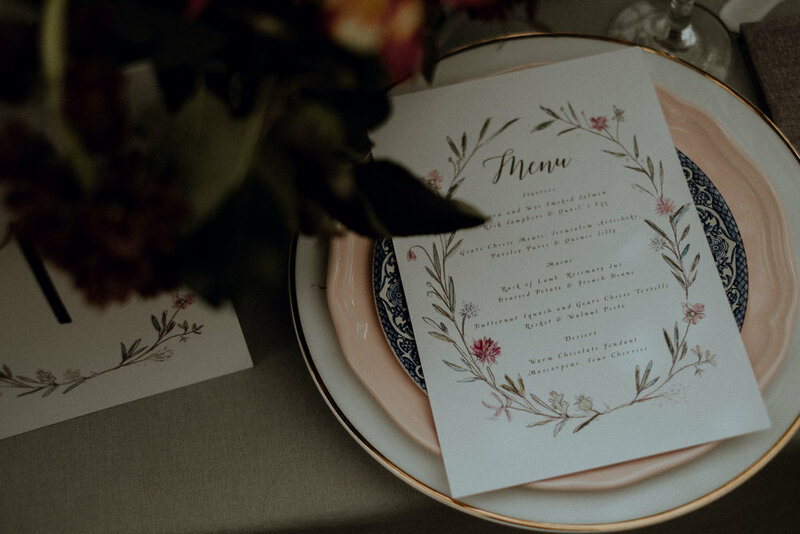 Mimolo's botanical stationery featured on international wedding blog Burnetts Boards!